There are different types of transportation that will bring us from and to our city of destination in Finland -which is Oulu in our case. 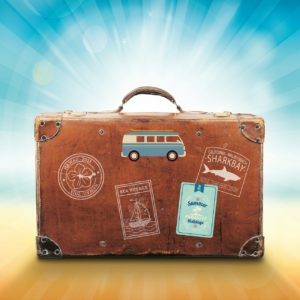 Some are more likely to be more convenient in the length or duration of traveling and less time consuming compared to other options which are a little bit more friendly with our pockets -in some cases- but might take longer to reach out to our destinations so is a mix between the yin and yang of traveling. Is important to mention that transportation in Finland overall is expensive even though the distances are not significantly large compared to other countries. Students which have the Finnish student card from their university or upper studies center and after paying the semester or yearly fee of the student union can get a certain degree of discount in some of the most popular transportation options which are national buses (Matkahuolto) and train (VR) -check more about the benefits and other information here- registrations and fees. To access these discounts is not the problem but notice that is mandatory to show, to the bus driver or the conductor on the train, at the time they check your tickets and ID’s, the student card otherwise you will get a fine and/or pay the full price of the ticket if you cannot prove you are a student in a Finnish institution. Even though you are a student from another university or even coming from an EU one, the discounts are mostly for those who have the Finnish student ID only so please do not try to use any other card to prove you are a student because it simply will not work -yes, I tried it once convinced that it was enough that I was a student with an international card but it wasn’t, so, information like this is kind of special and significant. But let’s talk about the transportation options available to get us to Oulu starting with the ones that will bring us first to the city and later -in another post- with the ones we can use throughout the city. Oulu airport is the second busiest after the Helsinki-Vantaa airport (according to Finavia) and is considered to be a transport hub to northern Finland and connection to other cities in northern Sweden -since the border is just about 120 km north from Oulu. The airport runway in Oulu has been recently renovated and this is considered to improve -in a large matter- the fluency of passenger’ traffic and airlines coming to the city in the future. 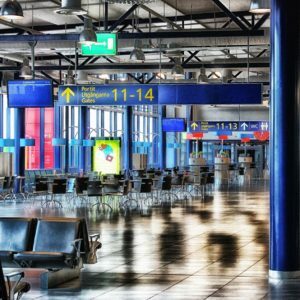 If you have arrived at the Helsinki airport or in general to the city and have not get your connection ticket in any flight -do not panic!- since there are many ways to get to the city of Oulu. Train, for an instance, is one of the easiest solutions that are available to get you going to the north. Once you get to the Helsinki Central Station (or checked previously according to the time you will arrive), find the ticket office or check which train will take you to the city of Oulu. 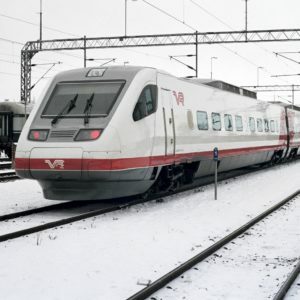 VR, which is the national train company that operates the trains all over the country which have different routes and time schedules including overnight trains with an option to rent a wagon or room. They normally have the ticket machines, sales offices or buy-in-train option in case you are in a hurry, lost or something similar -the language barrier and shock can take its toll on us too. There is also a way to get to Oulu and elsewhere in Finland by using bus transportation. They might not be as relaxing and fast as others but they might have some special offers that make it a little bit more attractive for our student’s pockets. For an instance, there are few large bus companies in Finland that operate nationally and then some others that provided local transport around the region limits and that might be enough for smaller trips which we will be discussing later -on another post. 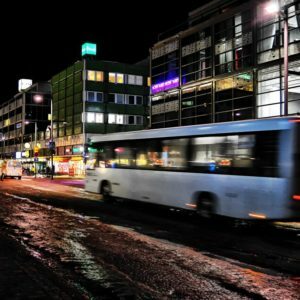 Is important to mention that if you have arrived in airplane to Helsinki but you will have a connection to Oulu in bus you will need to take the local train to the Helsinki Train Station and from there walk few blocks (550 meters) to the main bus station which is called the Helsinki Central Bus Station (or known as Kamppi Bus Station as well) located on the lowest floor (“K”- floor) of the Kamppi Center which is next to the Wooden chapel and the Narinkkatori so, use these two as a reference to get there. So grab your bags and book your preferred way to travel and see you all in Oulu!